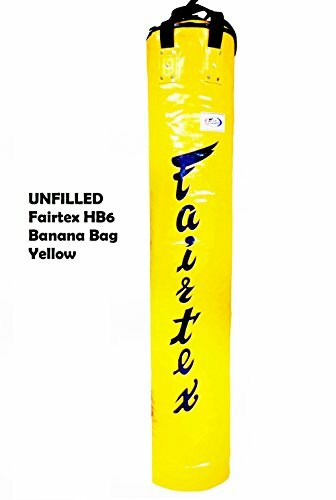 The famous Fairtex banana bag designed to give you a full contact, total body workout. Dimension: 36 cm. dia x 180 cm.,Approximate after fill: 35 kg. FREE SHIPPING UPGRADE. Bag ships expedited with standard shipping cost.